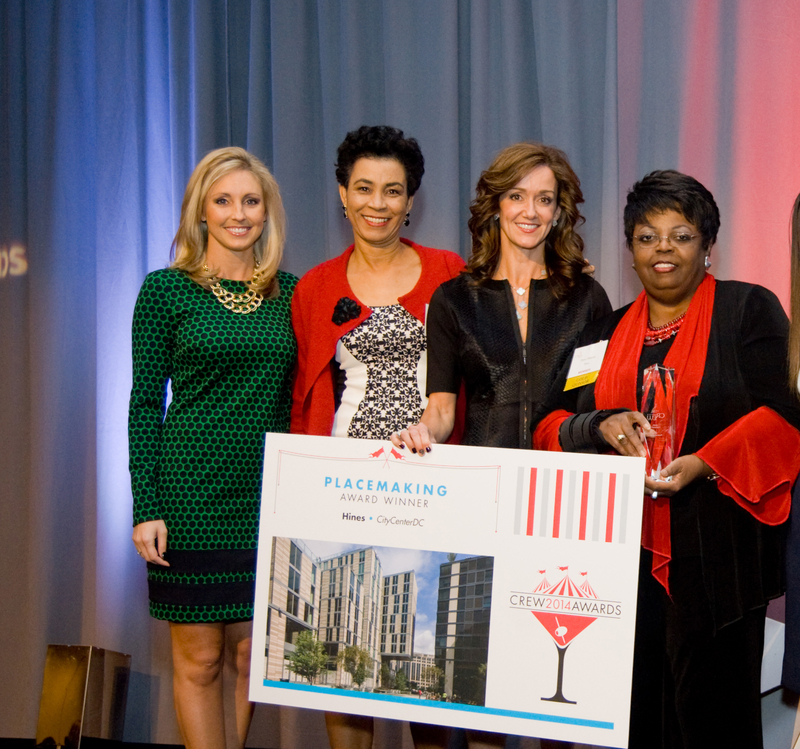 In October 2014, Pamela Bundy was thrilled to receive the Placemaking Award from CREW DC for her role as a co-developer of CityCenter DC. The commercial real estate industry gathered to celebrate the accomplishments of women in real estate as well as real estate deals from the past year. This was the 3rd award Ms. Bundy has received from CREW over the years. CityCenter DC has earned a reputation for its neighborhood events and activities, including “Toned up Tuesday” free exercise classes, a weekly summer farmers market and a weekly “Kids Corner” for storytelling and music in the central plaza. During the Cherry Blossom Festival, stylized images of cherry blossoms, along with pink and white lights, are projected throughout the complex. CityCenter DC is the embodiment of “placemaking”. What was once a desolate, undesirable section of Washington D.C., is now a shining jewel at the heart of downtown, attracting residents, workers, tourists and shoppers from across town, across the region, the nation and the world. CREW DC is a membership organization founded in 1979 to promote professional opportunities and business relationships for women in the commercial real estate industry.